This beautifully designed and fashionable 2 bedroom, 2 bathroom apartment of 254m2 has one of the most amazing views on the Sunshine Coast. 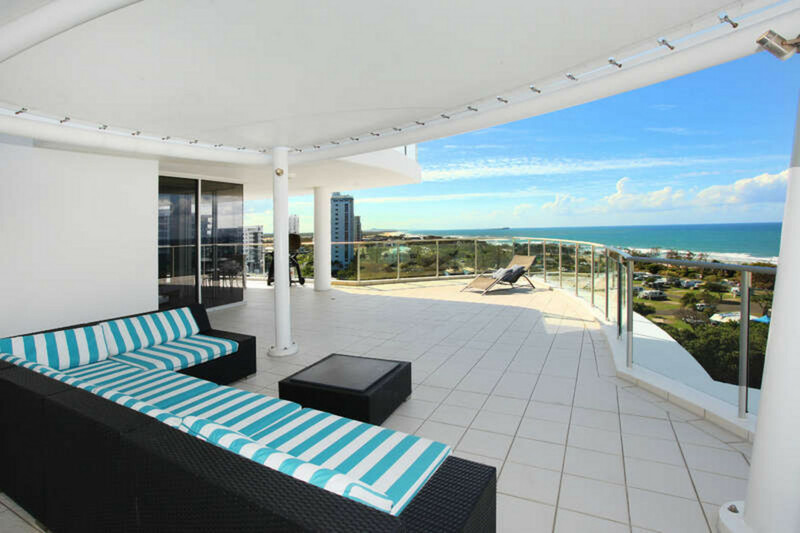 With 280 degree views straight down the beach at Maroochydore towards the North and around to Alexandra Headland in the South. The living areas extend on to an enormous covered deck to maximise the opportunity to enjoy the views. Quality and attention to detail are obvious from the moment you walk in. Take a secure lift to your floor and enter your own private beachfront oasis. More details are available on request by contacting Stephen Sahlqvist.